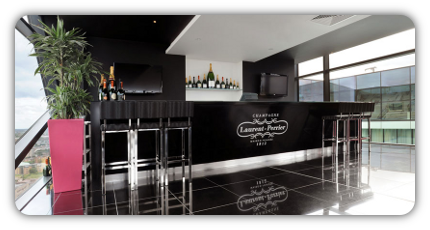 The Laurent Perrier Champagne Bar, situated on the 25th floor of the iconic Cube building, offers guests stunning 360° views of Birmingham's city skyline. 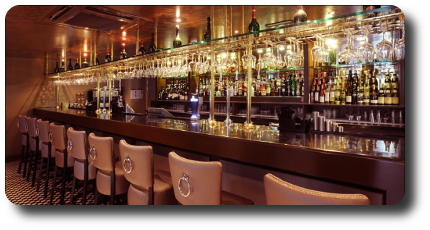 Join us in our stylish and contemporary bar, where you can enjoy a chilled glass of wine, a flute of bubbles or one of our signature champagne cocktails. The Laurent Perrier Champagne Bar is the perfect spot for pre-dinner drinks, so why not join us before you retire to the dining room for your meal? 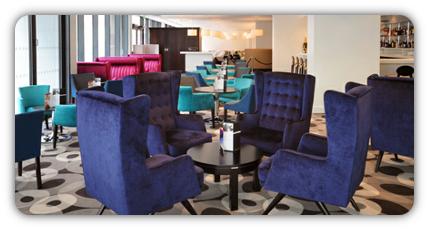 Visit the Hotel Indigo Liverpool Cotton Lounge - a vibrant yet relaxing sanctuary where quality food & drink is key. We take great time and effort to use locally sourced produce for our menus whenever possible. Supporting our local businesses is very important to us and how we work within our neighbourhood. We choose only the very best local produce to offer local specialities and traditional favourites that really give you a flavour of our neighbourhood. All of our dishes are freshly prepared on site. Vegetarian dishes also available. If you're looking for bars in Newcastle city centre, look no further, The Grainger Lounge is the ideal destination for your soirée! Contemporary in design and sleek in feel, the Grainger Lounge boasts a wide selection of drinks, both soft and alcoholic, and a light-bite menu for your delectation. Sit back and unwind in comfortable surroundings whilst you enjoy a hot coffee, sip a glass of chilled wine or indulge in a bottle of Champagne. 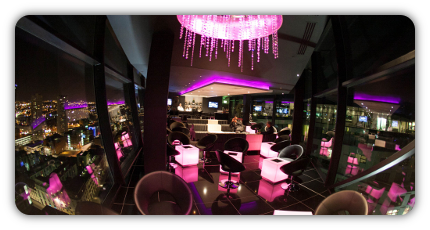 We also serve a selection of fresh and exciting cocktails from our exclusive Lounge menu. If you're looking for a fun and informal space to catch up with friends why not call in for Afternoon Tea? 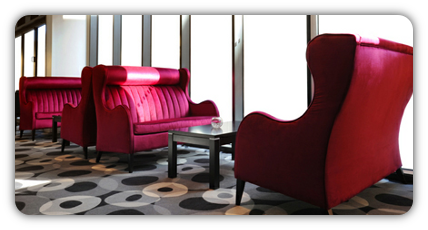 The Grainger Lounge sits amongst the famous architecture of Richard Grainger, providing the perfect environment for social events or business meetings alike. The Grainger Lounge is open for lunch, afternoon tea and light evening dinners. We also offer a Cocktail Making Master Class - the perfect activity for groups large and small! Complimentary use of hotel Wi-Fi. The Grainger Lounge is open to hotel residents and non-residents also. 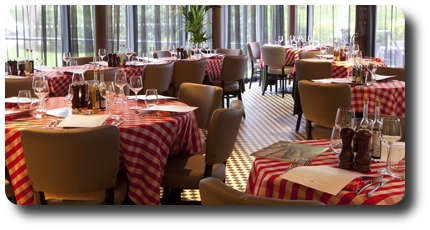 Adjoined to the Holiday Inn Express Hoylake, Frankie’s Bar & Grill is a collaboration between renowned chef Marco Pierre White and champion jockey Frankie Dettori. The restaurant is a perfect reflection of their shared passion for top quality Italian food with a healthy twist of personality. Frankie’s serves up superb New York Italian food in a relaxed, affordable and family-friendly setting. 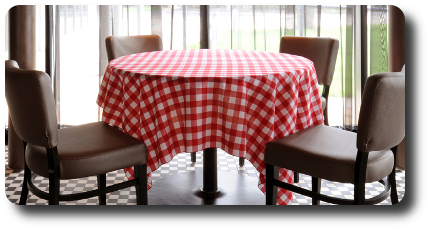 It is the perfect place to have a good time and enjoy traditional Italian favourites at any time of the day. Situated in the heart of Hoylake, Frankie’s is at the hub of the community and offers something for everyone from handmade pizzas and fresh pastas to burgers, steaks and seafood.